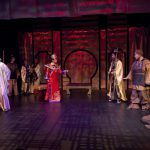 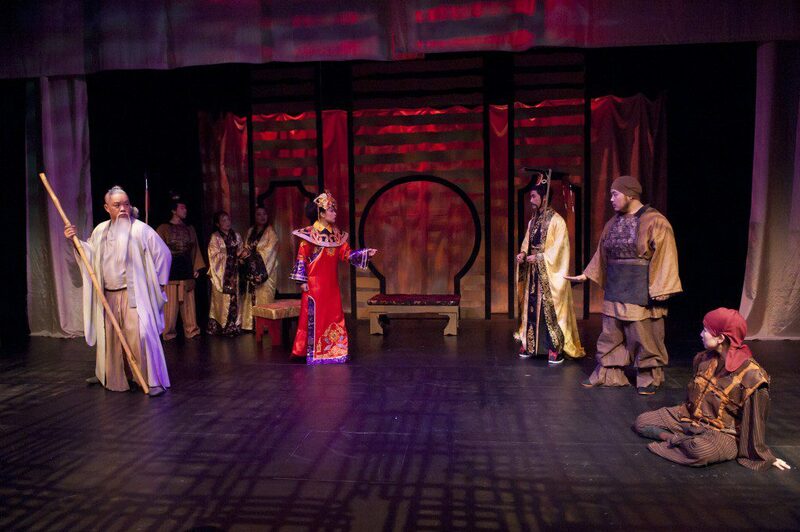 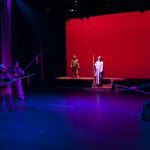 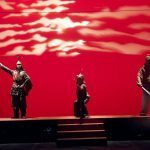 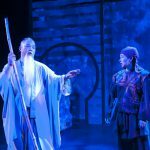 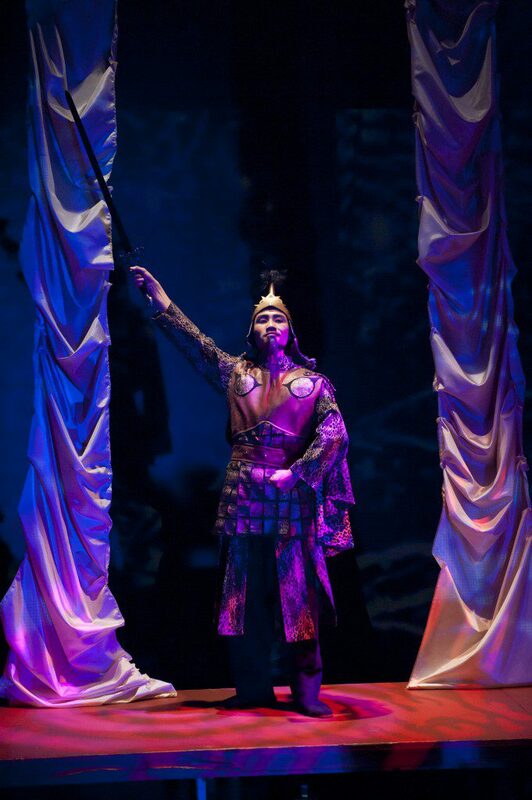 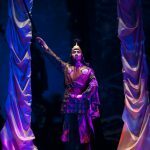 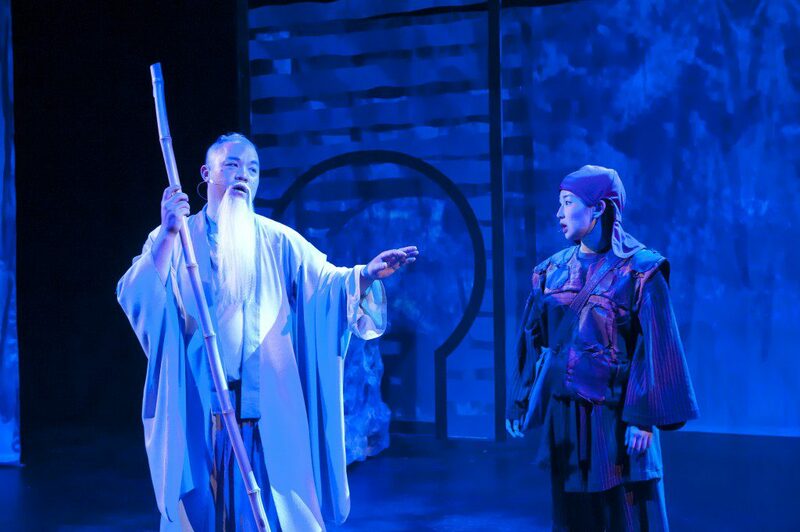 Mulan and the Battle on Black Mountain was a brand new show by Fresno City College’s playwrighting instructor, Charles Erven. 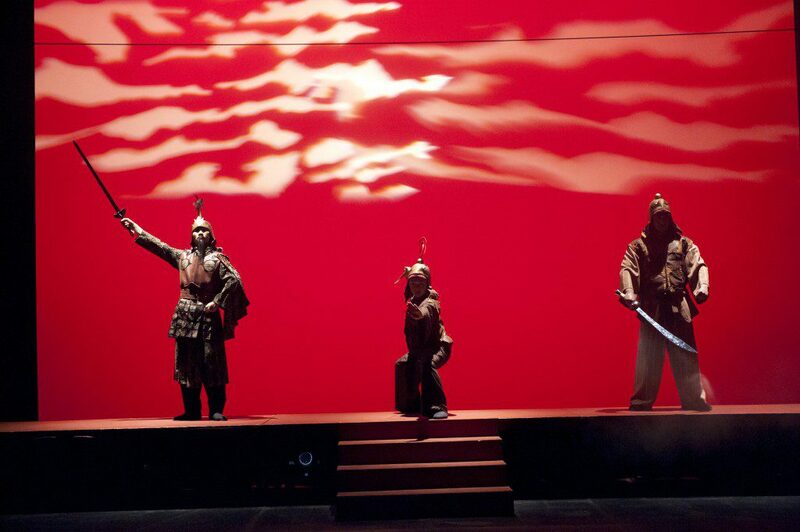 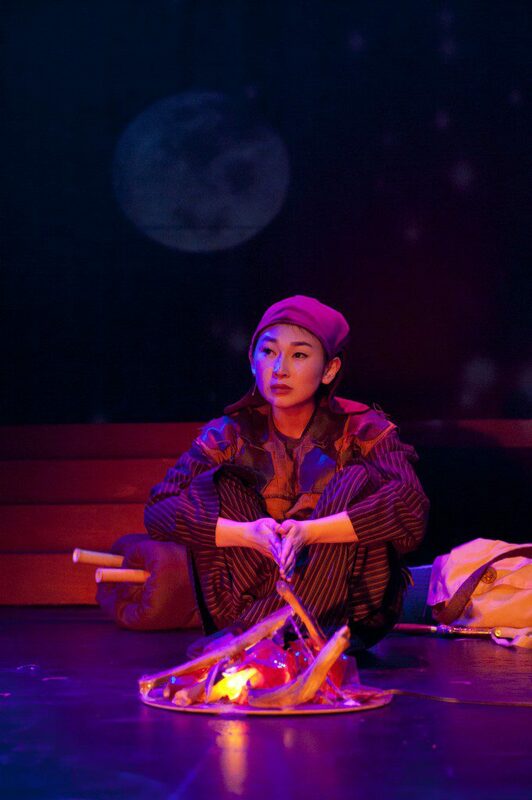 The play combined traditional Chinese Opera techniques with western style stagecraft. 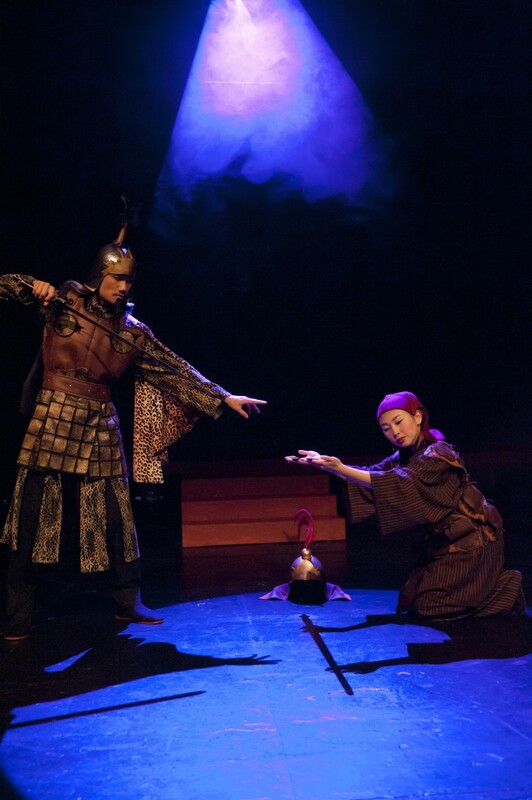 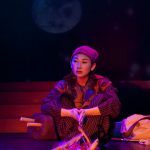 We were extremely lucky that Jimmy Hao, who trained as a dancer in China, choreographed the Chinese Opera section of the play and worked with the cast on traditional Chinese movement. 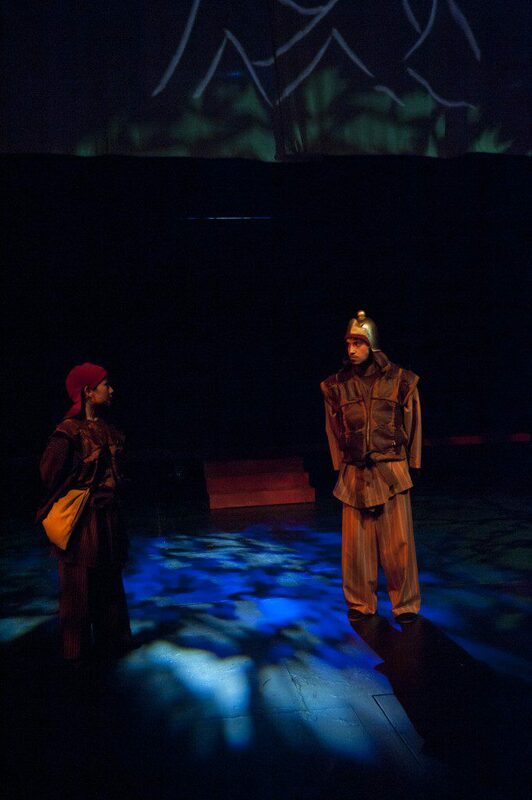 Our director, Debra Erven, requested a set the rolled, flew, and tracked to create various locations. 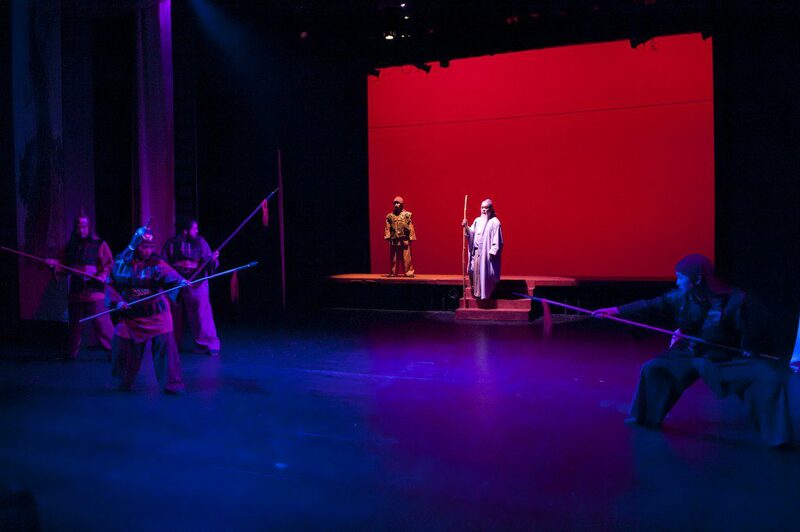 Additionally, we took Derek Bevin’s animation and I put it into a Greenhippo Hippotizer to create overlapping projections, and projections that appeared in just one tiny part of the stage.